A burglary suspect fled after being challenged by staff at a store where he was attempting to pawn a stolen laptop. Police are appealing for witnesses to a burglary at a property in Pangdean Court, St Michael’s Road in Worthing, between 3pm and 5pm on Wednesday, June 14. 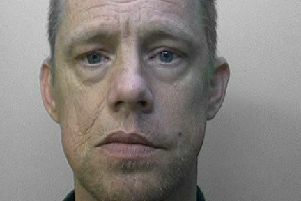 Officers say the offender entered the communal area of the property, which is a house converted into flats, and then got into a first-floor flat while its occupants were out. Stolen items included jewellery - vintage Sekonda watches and a silver Links of London necklace - a MacBook Pro Laptop and an Apple Green Core Genesis mountain bike. An attempt was made to sell the laptop to a local shop that same afternoon, but the suspect fled the scene empty-handed when challenged by staff. Witnesses are asked to email 101@sussex.pnn.police.uk or report online at https://sussex.police.uk/appealresponse or phone 101, quoting serial 1041 of 14/06.